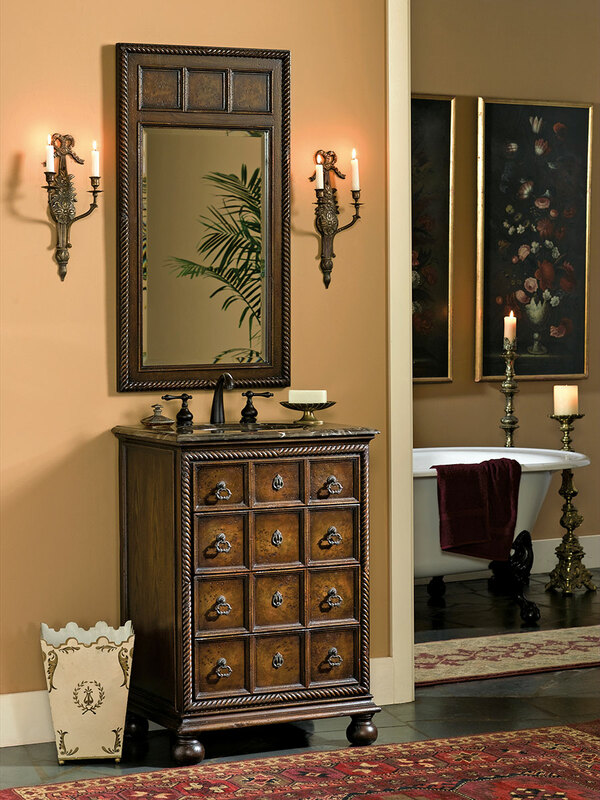 The 25" Augustine Petite Single Vanity is a unique and sophisticated choice for your antique bathroom. 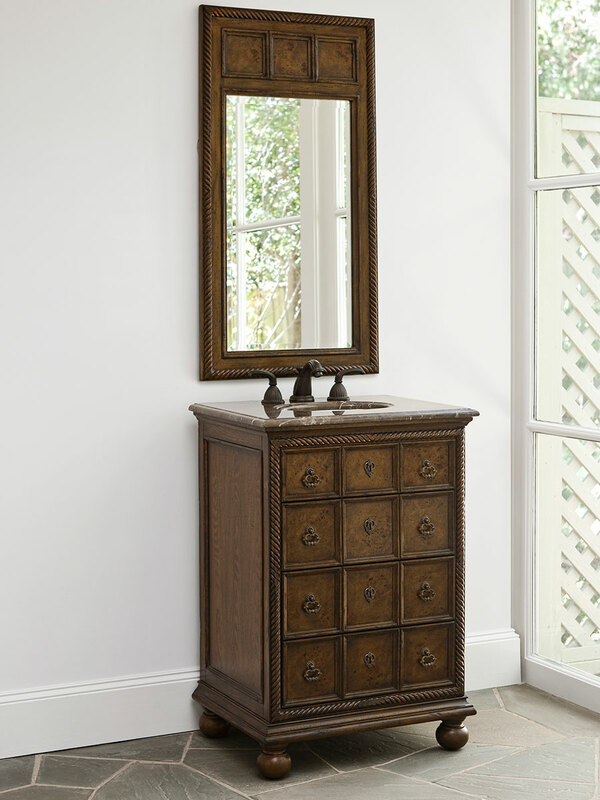 The charming pull handle grid design makes this vanity look more like a a family heirloom than an ordinary bathroom vanity. 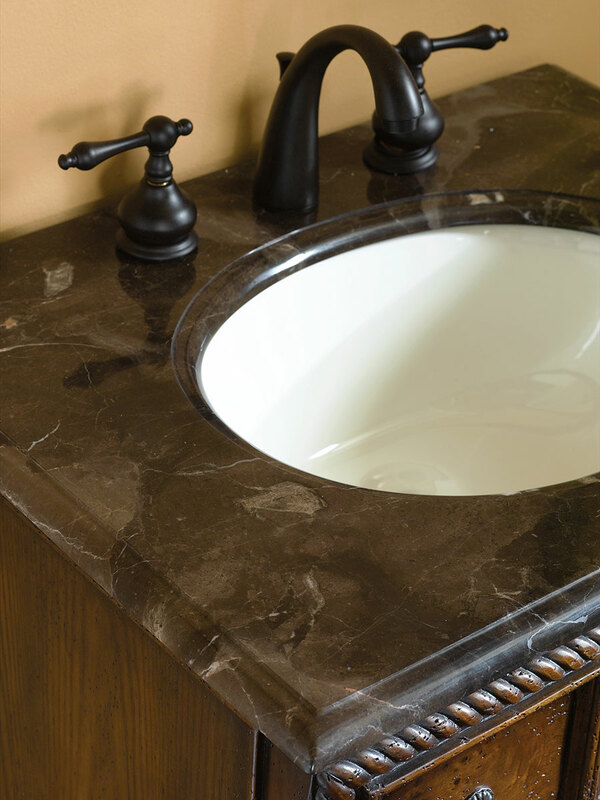 The counter top and back splash are Emperador marble, which compliments the wood stains. 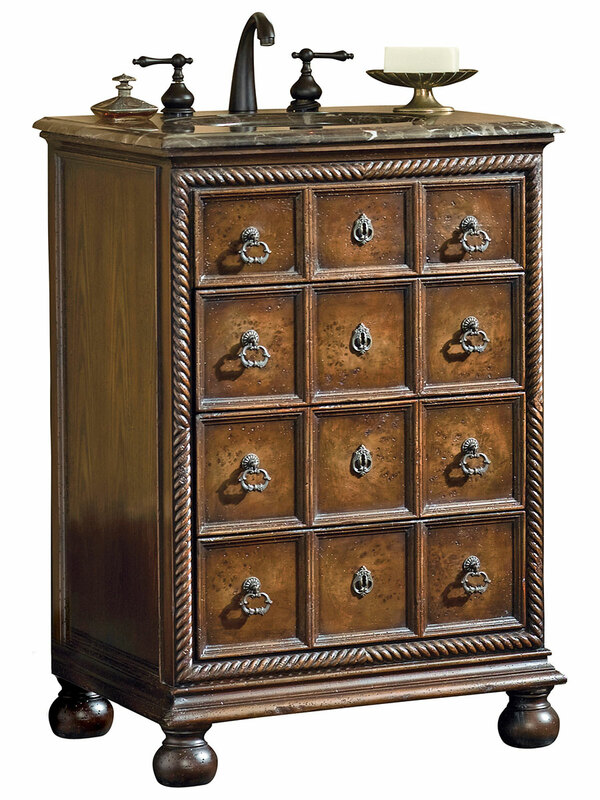 This vanity has two functioning drawers, highlighted by the rope carving on the cabinet face. Includes a white porcelain sink.